The mission of Wellness for Makers® is to motivate and empower artists through education, mindful living, and movement. Wellness for Makers® was created to make self-care, stretching, and massage techniques more accessible to artists everywhere. We strive to make it easy to find good resources, including interviews, articles, videos, and links to valuable organizations. Our workshops provide hands-on training in stretching, strengthening, and massage techniques that are easy to incorporate into an artist’s daily studio routine. These techniques are designed to help boost energy levels, alleviate pain, reduce the risk of injury, and improve posture. We collaborate with artists who have professional backgrounds in yoga, ergonomics, massage therapy, occupational therapy, and more, to provide a range of perspectives. We believe that by working together as a community, we can create more productive and sustainable studio practices that improve the longevity of our hands and bodies. Please stay connected as Wellness for Makers® continues to grow! Missy Graff Ballone is the founder of Wellness for Makers® LLC, an organization dedicated to motivating and empowering artists through education and mindful living. Missy graduated with her MFA in Metals from the State University of New York at New Paltz. She is a RYT-500hr Alignment based Yoga Teacher and she has been a Licensed Massage Therapist for over 10 years. She created Wellness for Makers® to make it easier for artists everywhere to locate and share wellness resources. we created a survey with CERF+ to learn more about what artists are experiencing in the studio. 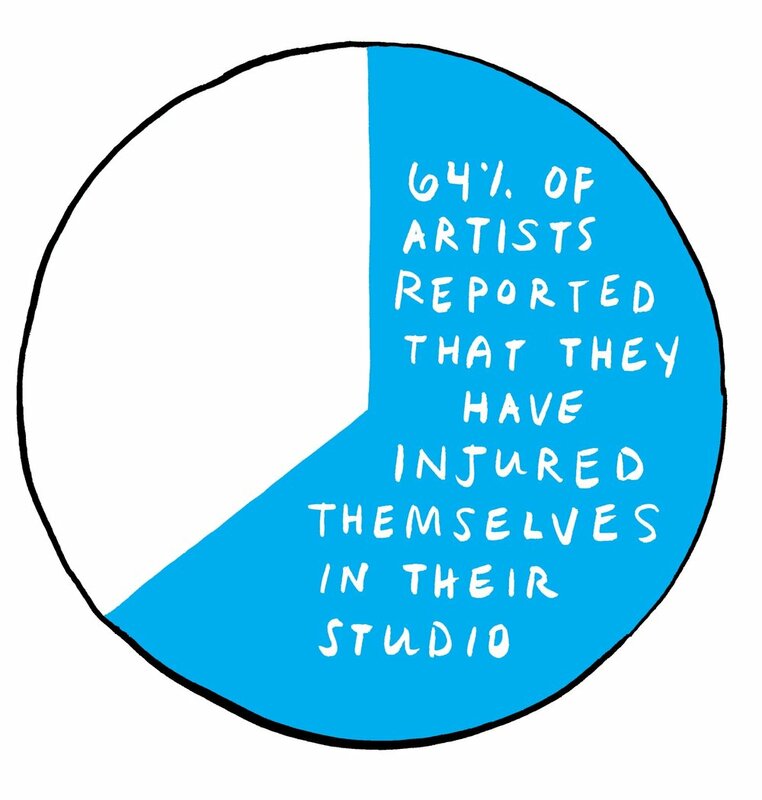 64% of artists reported that they have injured themselves in their studio. 31% of artists say that arthritis or joint pain affect the amount of and type of work they do. 41% of artists stated that they suffer from chronic pain. We offer customized workshops, 1:1 sessions, and events that meet the needs of you/your group and event. Our goal is to provide accessible techniques that artists can apply to their studio practice to decrease pain and reduce the risk of injury in the future. We believe that by working together as a community, we can create more productive and sustainable studio practices that improve the longevity of our hands and bodies.